Hello and welcome to the Premier League transfer news and rumours of the day! Here are the top stories of the day surrounding the Premier League! Gareth Bale has been in the news for all the wrong reasons as the Welshman just can’t seem to catch a break at Real Madrid. The media is pushing him out and former Real Madrid star Rafael van der Vaart is surprised with what is happening to him. He stated that Bale is a good player but the pressure at Madrid might be getting to him. He also suggested him to move to the Premier League and join either Tottenham or Manchester United. ‘I am a little surprised at what is happening at Real Madrid with Gareth Bale,’ he said. ‘He is a very good player, he is not Cristiano [Ronaldo] or [Lionel] Messi, he is not a regular, he always plays well and there is more pressure than at Tottenham. I think that’s a problem for him. ‘Going to succeed in another place? It may be best but I think he wants to stay at Real Madrid and play more. Brendan Rodgers might have just taken over the reins at the King Power Stadium but he is already planning ahead for the next season and according to TeamTalk, he wants Elif Elmas to be a part of his squad next season. The report adds that the player won’t come for cheap as the Foxes will have to pay at least £30 million in order to sign him. Manchester City midfielder Ilkay Gundogan has claimed that he is not discontent about his life at Manchester City as he is very happy at the Etihad. However, he remained coy on signing a new deal as he claimed that he is no hurry to sign one and neither are the club. “No, that’s not a sign at all,” the 28-year-old told reporters. “I’m very happy here, I just think that these kind of things… especially as I’m not the youngest any more, just need sometimes a little bit of time, you know? Real Madrid are going through a tough time right now. They are out of the Copa del Rey and are 12 points behind Barcelona with just 12 games left to play. So, it is only natural for them to plan for next season. And one of the players they seem to have targeted is Mohamed Salah. 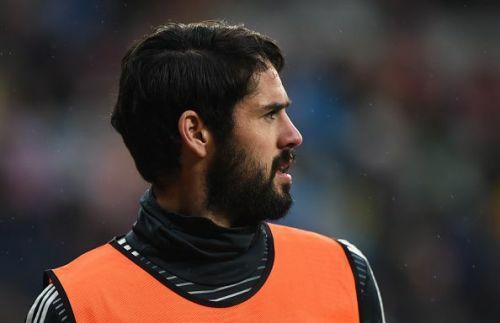 According to reports from Spain, Real Madrid are willing to offer Isco and €50 million to sign the Egyptian, who is set to be offered €20 million-a-year as wages at the Santiago Bernabeu. Romelu Lukaku might have got back his form after scoring four goals in his last two games for Manchester United but that hasn’t stopped the rumours from linking him away from the Old Trafford. According to Express, the Belgian is wanted by Inter and the Italians are actually keen on letting former captain Mauro Icardi go to the other side in a swap deal.